I found this sign in a hotel near Mumbai while travelling. It instructs users how to use the geysor and in itself is quite scary since it implies you will get an electric shock quite easily from it. 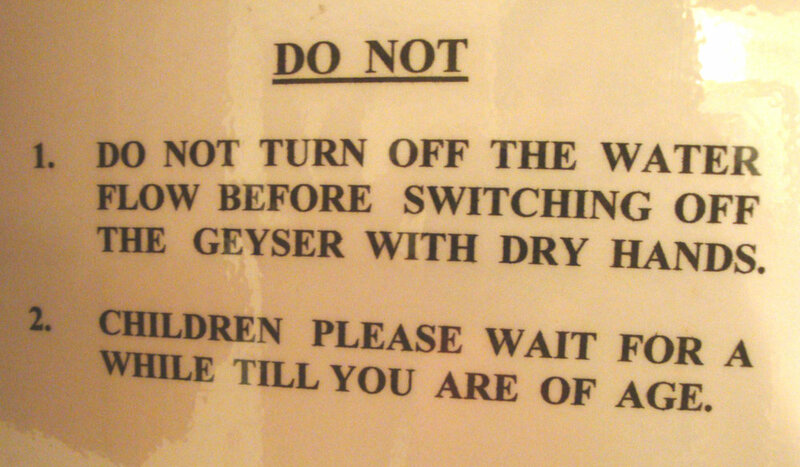 However the second point is most interesting: "Children please wait for a while till you are of age"